Emergency rooms are for emergencies, so before you head to the hospital because of a dental problem, you need to ask yourself this question: Is what you're experiencing really a medical emergency? While emergency room visits for dental related issues are on the rise across the United States , they’re not necessarily the best solution for every problem. Many people don't know about emergency dental care services, many of which are available 24/7, and so they go to the ER. These types of statistics are common across the country. However, despite the numbers, not all dental problems are created equal. If you've experienced some type of injury to your mouth, jaw, or face, then an ER visit is a good idea, but if you're suffering from a toothache, cavity, or broken crown or veneer, then the ER is not the best place to handle the situation. If you're having a dental emergency, then seeking emergency dental care should be your course of action. The ER doesn't provide a long-term solution to your dental issue; it only gives you temporary relief. There’s a chance they will simply hand you a prescription for pain medication and tell you to call your dentist in the morning. In the end, you’re going to be saddled with two medical bills, and nobody wants that. Even if the ER outfits you with a temporary crown or filling, you're still going to have to make a follow-up appointment our office. There are numerous homemade remedies that can sooth tooth and gum pain. However, if you're experiencing a dental emergency, the ER is not the place to go. The specialized emergency team at Pinnacle Peak Dentistry is available to take care of every dental problem you may have. In the case of a dental emergency, don't wait any longer than necessary. Feel free to contact our Scottsdale, AZ office at any time, day or night. When you are missing teeth, it is critical to replace them. Without all your teeth, chewing and eating can be challenging, as well as uncomfortable. Missing teeth can also destabilize your bite. 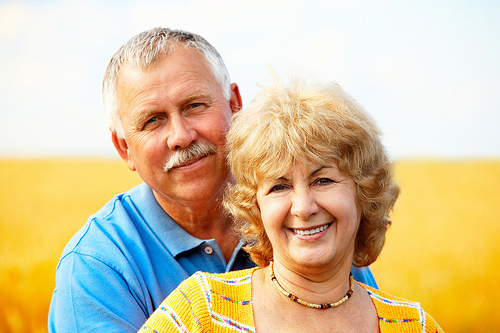 Dental implants are a great option for replacing teeth that are missing or are badly diseased. 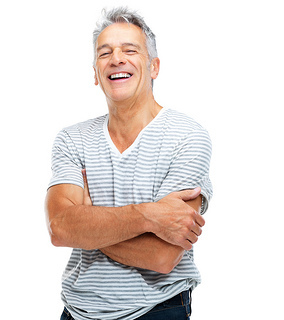 A dental implant at Pinnacle Peak Dentistry offers relief, support, and stability to your bite, and often, implants are the most natural and effective option available. Dr. Marshall Clayton and our team have helped many patients using implant dentistry at our Scottsdale, AZ office restore their smiles to look more natural. Each implant is created to fit in perfectly with the look of the rest of your teeth. If you are missing a tooth or multiple teeth and feel like you are a candidate for dental implants, Dr. Marshall Clayton and our team at Pinnacle Peak Dentistry encourage you to give us a call to schedule an appointment. See you soon! I’ve lost a filling; now what? 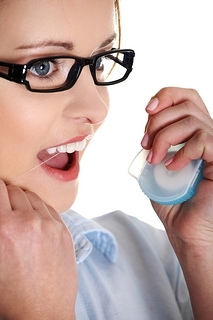 Dental fillings usually protect our teeth, but sometimes they need to be protected, too. If you lose a filling, contact our Scottsdale, AZ office immediately and let us advise you on the next steps to take. Fillings serve an important function in oral health by preserving the structural integrity of your tooth. With the materials we use today, dental fillings usually last for many years, but they are subjected to the same stresses as your natural teeth are. You can wear down, chip, crack, or break your fillings by eating, clenching, and grinding, and sometimes they can fall out completely. While you may not notice normal wear and tear, you should not ignore any fillings that loosen or fall out. Contact us as soon as possible so we can advise you about whether you need to be seen immediately. If your fillings get damaged or fall out, a timely response can be important. There may be gaps or holes in your tooth which provide an easy access point for bacteria. Once bacteria begin working into your tooth structure, your tooth could become damaged even worse. Since cavities usually form in hard-to-reach places, it will be difficult for you to remove these bacteria through brushing alone. When is a lost filling an emergency? A lost or cracked filling is usually not an emergency unless you are in great pain or are bleeding excessively. In that case, contact our office immediately so we can schedule an emergency appointment. Otherwise we will schedule a regular appointment to evaluate and repair your filling. Before coming in for your appointment, try to avoid chewing on that side of your mouth, rinse with warm salt water, and be sure to brush and floss thoroughly after every meal. Once you come to our office, Dr. Marshall Clayton will examine your tooth, assess the situation, and advise you of your options. We may be able to replace the filling and can discuss whether an amalgam or composite material would be the best for your teeth. If the filling was large, a root canal or a dental implant and crown may be necessary. A lost or cracked filling may not always pose a dental emergency, but it’s always important to contact us so our team can help you take the proper action to preserve your oral health. Some foods are just terrible for your teeth — think cookies and candy bars — but there are certain foods that are beneficial to your oral health. 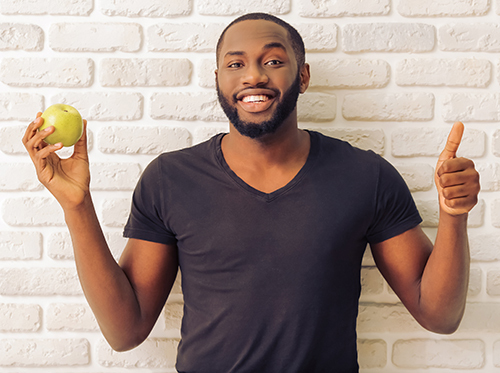 Below, Dr. Marshall Clayton and our team have covered five of the top foods to keep your teeth and gums healthy! 1. Crispy, low-acid fruits and vegetables: Fruits like apples and vegetables such as carrots and celery act like “natural toothbrushes,” helping to clear plaque from your teeth and freshen your breath. 2. Kiwis: These little green superstars are packed with vitamin C which is essential for gum health. The collagen in your gums is strengthened when you consume foods that are high in vitamin C, like kiwis, thus helping to prevent periodontal problems. 3. Raw onions: Onions have long been studied for their antimicrobial, antibacterial, and antioxidant properties. Proliferation of bacteria is what leads to tooth decay and cavities. By including raw onions in your diet, you'll be doing your part to wipe out those little microbes before they can multiply! 4. Shiitake Mushrooms: A specific compound in shiitake mushrooms, lentinan, has been shown to have antibacterial properties that target the microbes that cause cavities while leaving other beneficial bacteria alone. It may also help prevent gingivitis, or inflammation of the gums. 5. Green Tea: Often lauded for its high antioxidant content and many health benefits, it turns out green tea also benefits your oral health! A Japanese study found men who drank green tea on a regular basis had a lower occurrence of periodontal disease compared to men who drank green tea infrequently. It's believed this is due to the catechins in green tea, a type of flavonoid that may help protect you from free radical damage, but more research needs to be done. Either way, drink up for your overall health, as well as your teeth! If you have any questions about your oral health, or are looking for even more oral health tips, contact our Scottsdale, AZ office!